There are a lot of apps on the market for creating social stories, but not many that include pre-loaded social stories. 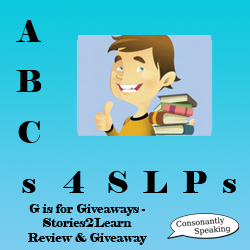 Stories2Learn includes 12 different stories on 6 different topics. Not only that, but you can create your own social stories. To learn more about this application and enter to win a copy for yourself! 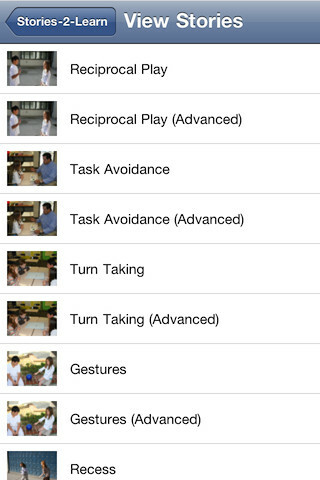 The Main Page of Stories2Learn includes three options - View Stories, Edit Stories, and Add Story. In order to edit a story, choose one from the list once "Edit Stories" has been pressed. This will show the pages along with the associated images/text in a list. Press the "Edit" button at the top right hand corner of the page to edit, delete, or move pages around. To delete a page once the "Edit" button has been pressed, press the red circle button with a minus in the middle next to the page you would like delete, then press "Delete". To move the pages around once you press the "Edit" button, press, hold, and drag the pages to where you would like them to be. Otherwise, press on a page (without pressing the "Edit" button first) to edit the text, picture, or audio associated with the page, then press "Save". If you would like to delete a whole story, press the "Delete" button at the top, right hand corner on the "Edit Stories" page. Then, press the red circle button with a minus in the middle and then "Delete". Press the "Add Story" button to begin creating a new story. Then, press within the white rectangular area to add a story name. Next, add an icon to associate with the story. Finally, press "Create Story". On the following page, you can press the "Add Page" button to create your first page. Press within the white space to add text via the keyboard. Then, add a picture from your Camera Roll or by taking a new picture by pressing the camera button. After that, you can add audio to associate with the text and image. Finally, press "Save" to add it to your story. Repeat all of the steps to add as many pages as you would like to your story. The opportunity to record audio to associate with the text and video is great for students who have difficulty reading. 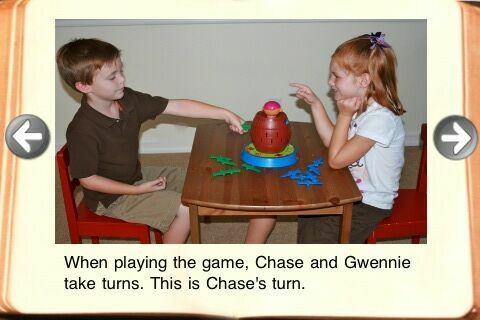 Visuals to go along with the story are great for modeling and teaching social skills. This application is easy to use and navigate, especially between pages of the stories. The fact that there are pre-loaded stories shows examples of social stories (for students at two different levels) is great not only to help students learn certain tasks but to show how one could write a social story. It would be great to have a "Help" page on this application similar to the Video Scheduler application. There are a few different places in which the application offers a bit of help, but I always like having the step by step guide within the application to show me how to use it every step of the way (or a YouTube video). Social Stories - Create social stories using the application. Take pictures of real-life, environmental images to use in the social story so that it is specific to the student and record your voice for students who have difficulty reading. 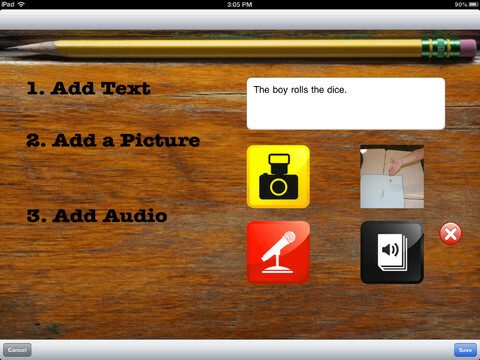 There are also 12 pre-installed stories that you can use with your student. Expressive Language - Have students create their own stories and add images along with the sentences on the application. Have students narrate their own creations as well and play them back for each other! Receptive Language - Create a story about a concept for students to learn! Include images of the concept. Write a story and ask questions at the end of it for students to answer. Include narration of the pages to help students who have difficulty reading. Auditory Processing - Have students listen to the narration for each page. Ask them questions following the story. Make the story as long or short as needed for the level of the student. Articulation/Fluency/Voice - Create a story for students to read aloud with their speech sounds. Write a story and have students read it aloud using their best speech sounds, fluency strategies, or vocal strategies. They can even record and listen back to their own speech! 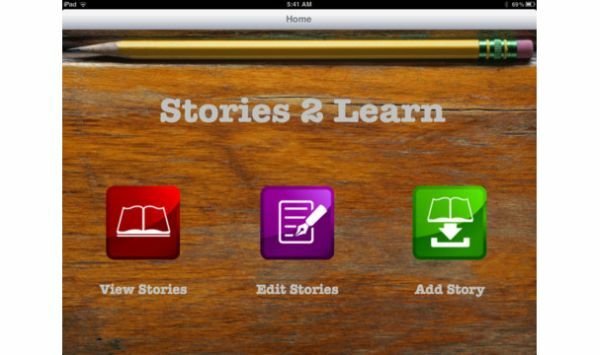 Stories2Learn is available for the iPhone, iPod Touch, and iPad for $13.99! Vote for this application on Yapp Guru!